Born in 1834, Mr. Sweeper is probably more busily engaged in Church work than ever before. He is true at once to the past and to the present. Hence the sphere of his activities widens with the years. On bicycle, on foot, or otherwise, he takes full work as a local preacher in his own Circuit, and for Chapel Anniversaries (one of which he has attended for an unbroken succession of forty years), Sunday School Anniversaries, etc., he is in frequent demand in many places. He has seen many conversions, and at Camp Meetings has witnessed remarkable scenes of spiritual power. Ever since his conversion in 1855 his interest and strength have been given to Sunday School work, and he has been a member of the Connexional Sunday School Union since its formation. In him the Christian Endeavour movement early gained an earnest supporter; a missionary box was his first piece of furniture and lives still. He is a busy temperance worker; by him the sick are visited, the dying comforted, the perplexed and suffering are helped. In his home “workers” of all kinds are heartily welcomed by him and his loyal-hearted wife, and he is never too busy to take counsel with “the minister” re Circuit and Connexional life. Honoured and respected by nearly every one his life is full of friendships and breathes our “good cheer” on all sides. He is a valuable official, firm but not obstinate, and a past-master in finding the middle way wherein all, or nearly all, may walk in harmony. It is no surprise to find that he has been to District Meeting thirteen times and to Conference four times. Ever alert, ever active, he is devoted to the Master’s service, and the Lord is with him. 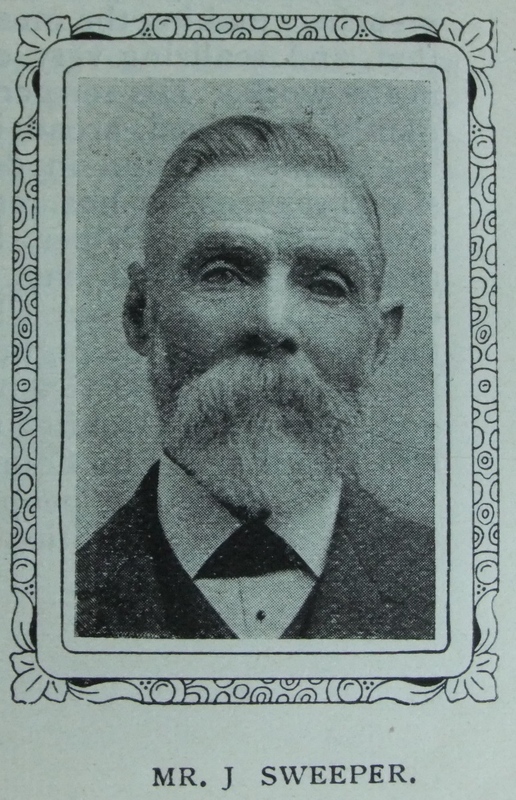 Joseph was born in 1834 at Chiseldon, Wiltshire, to parents Robert and Sarah. Robert worked the land. Census returns provide the following occupations for Joseph. Joseph married Jane Waving (Weavin) Smart (1826-1895) in early 1858 in the Highworth Registration District, Wiltshire. Census returns identify three children. Joseph married Sarah Burson, nee Smallbone, (1846-1923) in late 1896 in the Cricklade Registration District, Wiltshire. 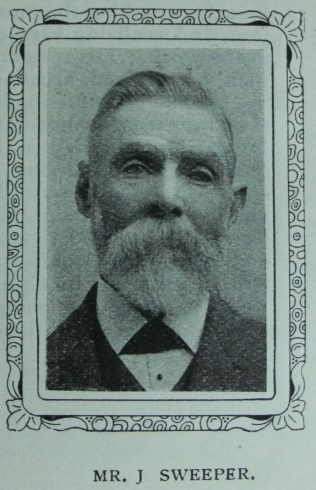 Joseph died on 15 April 1911 at Purton, Wiltshire.